I have sometimes heard the misconception that before a school begins implementing Bring Your Own Technology (BYOT), students need to be trained in the acceptable use of technology that has been predetermined by the district; however, many of the digital age skills that students are developing as they use their devices at school occur just in time as they are needed in the course of the process of learning. Just in time learning entails that as a specialized strategy is necessary to solve a problem or share a solution, then that skill is learned and utilized in a relevant way within the context of the work. 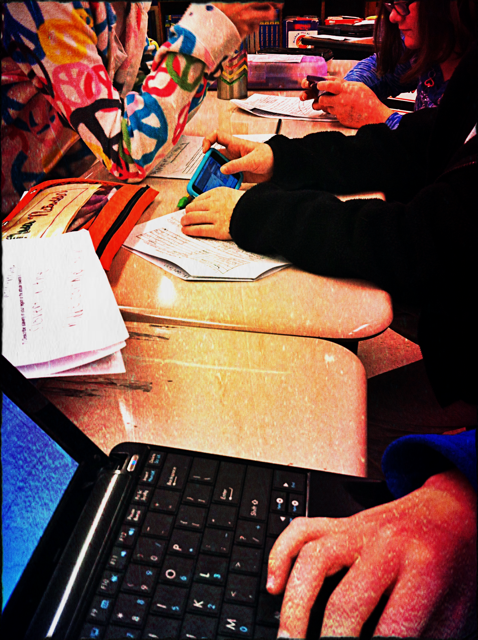 There are several just in time skills that students begin to acquire within the BYOT classroom. We have all heard of students making mistakes with technology or using it inappropriately, often with devastating consequences. Many of these issues occur because students are self-taught or peer-taught in how they should use their devices without the just in time guidance of a teacher. When students are empowered to bring their personal technology devices to school to assume more control of their learning, they can be coached in responsible ways to use technology. Students in the BYOT classroom, have the advantage of learning how to use their devices for instructional purposes with the facilitation of their teachers. Students continually practice and refine digital citizenship in the BYOT classroom as they learn with each other through the use of the same technology devices that they use at home. Skills in netiquette, the appropriate ways to communicate with others online, as well as strategies for ensuring Internet safety, can be encouraged by the teacher within the BYOT learning community. As devices and applications continue to change, there is no one consistent method for resolving technical issues. Technical troubleshooting and instruction must occur just in time in the BYOT classroom according to the pertinent needs of the situation. Teachers and students learn how to use new technology tools and programs while they are being utilized, and students often provide the technical training for their peers and their teachers. Since students are utilizing different devices for instruction, they will have to become proficient with the technical aspects of their own tools and usually become recognized for their particular areas of expertise. In this way, students and teachers can develop critical problem-solving strategies for working and learning within a digital world. Learning how to work with others to achieve a common purpose is essential to the BYOT classroom because students are bringing different devices to school, and those devices have different capabilities. The students also possess different knowledge, abilities, and interests, therefore, they have to pool their resources and intellect and negotiate responsibilities for the learning. Groups need to be dynamic and fluid as students work together and with their teacher to share information and make decisions. Many Web 2.0 sites can be used to develop online collaborative spaces, including Edmodo and Wikispaces. Just in time collaboration can occur synchronously or asynchronously and capitalizes on the potential strengths of everyone in the learning community. Critical thinking with BYOT involves being able to distinguish among conflicting information and facts as students conduct research with their personal devices. Recognizing propaganda and determining the accuracy of content are other essential critical thinking abilities required by the digital age. Students need to develop the capacity to use reason as they formulate opinions based on what they already know and on what they have learned from their classmates and in online searches. Students learning how to make these decisions just in time can be nurtured by the classroom teacher through modeling, practicing, reflecting, and questioning. A great tool for posing questions to students is Socrative. It works across multiple devices and incorporates various types of questions, and teachers can easily create follow up questions to responses that students have texted and shared with the rest of the class. In the traditional classroom, communication is often one-way – directed from the teacher and toward the student. In the BYOT classroom, there is a potential shift in communication as students use their devices to discuss content they are learning with others, set goals for themselves, and share new concepts. This communication happens just in time as the students are encouraged to communicate, whenever and wherever, as a function and expression of learning. The lines of communication are now multi-directional and extend beyond the classroom as students can web conference through Skype with other students in classrooms around the globe. 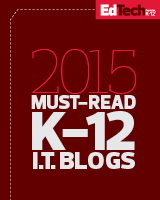 They can instantaneously publish their ideas by blogging using Edublogs or through other blogging tools. Blogs can become a lasting portfolio of student work, and this process of authorship helps students to develop an authentic and beneficial digital footprint. With the abundance of free and inexpensive applications for mobile devices, students are able to develop new skills in creativity. In the BYOT classroom, teachers can help foster creativity as students utilize their personal technology tools to invent and design original products. These inventions are often constructed just in time as solutions to problems or for students to illustrate what they have learned in imaginative new ways. In this manner, students aspire to become producers of content that they find relevant rather than solely being consumers of static information that has been predetermined as meaningful for students. With netbooks and laptops, students can download the free, open source, program Audacity to develop podcasts and recordings, or they can record straight to their handheld devices. Students can also use the camera tools on their devices to take photographs and easily turn these photos into new creations with the use of iPhoneography apps (my favorite is Pixlr-o-matic). VoiceThread is a web tool (with an app for mobile devices) that can enable multiple users to upload their original photos and comment on them collaboratively. By the way, just in time professional learning opportunities also emerge for teachers in the BYOT classroom as they learn alongside their students and discover new interests, skills, and strengths in the use of personal technology for instruction.